It's hard to decide which was my favorite Christmas present when I was a kid. I always loved getting dolls. One Christmas I got a nurse's hat, cap, and doctor kit that I loved. Another Christmas I got a majorette uniform, white boots, and baton that I also loved. And another Christmas I got a puppy that I named Lulu after my uncle Louis (my dad's friend). When I was a teenager, I got a radio inside a stuffed toy. 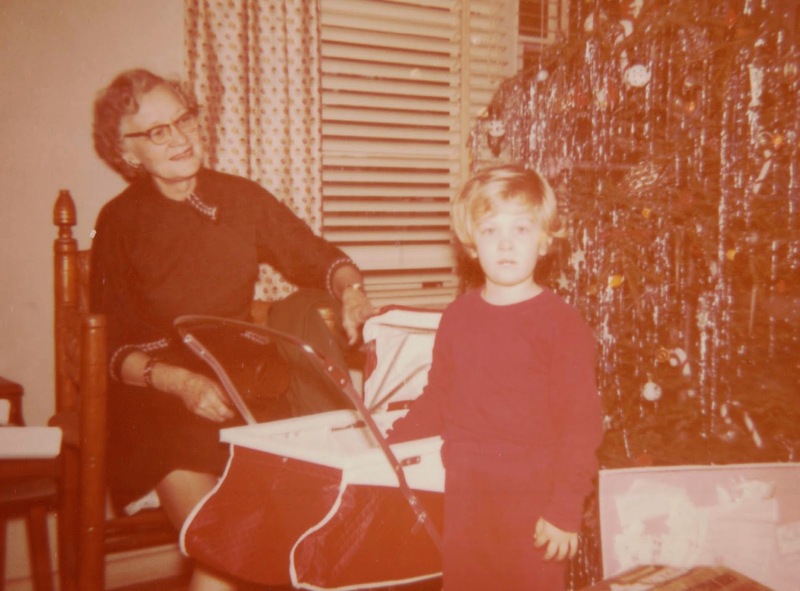 Here I am at Christmas 1957 with my paternal grandmother Helen (Brown) Thomas Pendleton and my new doll carriage. I'm sure I got a new doll to push around in it, too. This was taken at our old house on Alden Avenue. Here I am in my new majorette uniform and boots with my new doll that I got for Christmas. This was Christmas day 1961. Taken at the J.T. Roberts house. I'm sure I had a new favorite present each year!